The provided space on the site is intended for user activities which enables the site Content to be commented on and/or evaluated. In case that you are using these site features, you guarantee that you are solely responsible for this use. We warn you that user comments must not breach valid laws, moral standards, and the rights of others. Before being published on the site, every User comment posted for the purpose of being published will be previously administered. The site reserves the right not to publish the posted user comment or to delete it subsequently if it is in breach of these conditions of use, as well as the comments deemed inappropriate. The site administrator is obliged to review and approve or dismiss a comment within 24 hours after it has been posted. Furthermore, within the same time limit (24h), the administrator is obliged to answer the user questions. By posting a comment, evaluation, or by engaging in any other type of user activity, you give assent and agree that the said user activity is voluntary, that the site has the right to present, within its web page, all posted Content and other Content referred to in these General conditions, and that therefore, on these grounds, it is not obliged to pay any damages or compensation, that all posted or displayed Content can be subject to personal opinion of other users, that they can be commented on, and that all visitors and users of this site to whom such Content are available and/or visible can use them for the purposes for which they are posted, without any time, place or other limitations, or obligations to pay damages or compensation on these grounds. We endeavor to provide all necessary conditions for a pleasant and safe use of the site, however we are obliged to stress that you assume full responsibility when using this site. 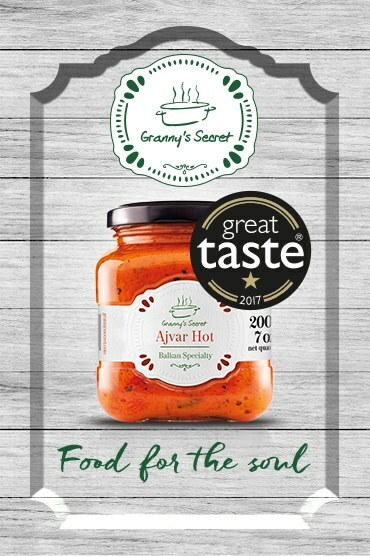 In the event of any harm, Ajvar.com is not responsible for material or non-material, direct or indirect damage arising out of or in connection with the use of the Site or its Content. Recipes and advice that we publish on our site are solely indicative and do not constitute methods that can be used for the purpose of medical or clinical treatment. The site does not guarantee complete satisfaction with the recipes and advice and/or results achieved after their use or application and it does not take responsibility for their use and/or result. Ajvar.com protects the privacy and personal data of all site visitors. Please read the following Policy Privacy carefully in order to understand how the provided information is used and protected. 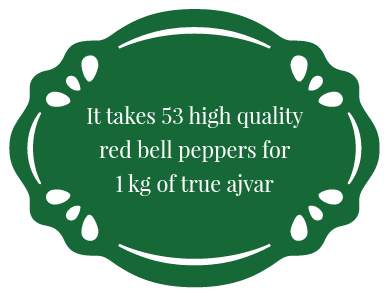 You can visit Ajvar.com site without disclosing any personal information about yourself. However, we inform you that the site uses Google analytics tools, which use information about you, such as the IP address, the language you use, resolution of the screen that you use to access the site, etc. We use these tools in order to measure the frequency of visits to our site and to enhance its Content. At certain parts of this site we ask for personal information about you in order to enable you to exercise certain rights, such as subscription to our newsletter. The information that you provide us with may include your name, surname, country, birthday and email address. In the event of asking for different types of information, we will ask for your consent (e.g. in the form of an online form or via email), inform you about the process of data acquisition, and about the way in which they will be used. The information that you provide us with or that we obtain through this site, will be used exclusively to answer your questions and/or provide and improve our services. · Information about products, offers and programs via e-mail. Personal information is collected and stored electronically. 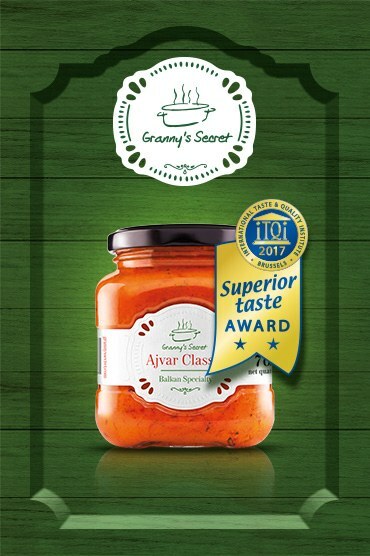 In case you change your mind and wish not to be contacted in the future, please inform us on: weloveajvar@gmail.com. In case you do not wish to get a newsletter anymore, there is a clearly designated link for cancellation at the bottom of the form in every email. Consent to use of personal data is voluntary and is given by leaving your personal data on the site. By giving consent to use of personal data you give assent to use, processing, transfer, and storage of the said data by the owner of the site and/or another company hired by the owner of the site for the above mentioned purpose, without the obligation of informing you prior to these acts of use. The consent also entails the consent to any subsequent modifications of the way in which personal data are used if they are the result of subsequent modifications of legal regulations. Personal data that the site obtains will be treated in accordance with Law on Personal Data Protection and the adopted personal data protection policy and will not be available to other registered users. The information you provide us with can be accessed by our associates, state authorities, our legal successors, and persons hired to process data on our behalf for the purposes referred to in general conditions or other purposes of which you have given the approval. Furthermore, we may transfer the information about the use of our site to a third party, but this will not include any information on which you can be identified. Unless it is required by law, we will not make your personal data that you provide us with available or distribute it in any way without your prior consent. If you are a minor, it is necessary that you obtain permission from your parents or guardians before you provide us with information about yourself. Minor users who do not have such permission are not permitted to give personal data.